It's the very first day of our September Release Blog Hop. We are going to party on for three full days. You will want to stop by each blog each day and leave some love. Gina will choose a person from each day's comments and he/she will win a $50 gift card to the Gina K. shop. That's three chances to win! First up today is the ultra talented Melanie Muenchinger. She is bringing us the Men of Faith stamp set. It coordinates beautifully with her previously released Women of Faith set. The amount of sentiments is mind blowing! You will be stamping for days!! This is one of the cards I made with the set. I seriously have so many more to share with you! I incorporated our new incentive stamp set (Perfect Blend) into this card so I could share it with you as well. I know you have found lots of inspiration as you've journeyed through all the blogs. But remember - there is more coming tomorrow and Wednesday! Be sure to comment all along the blog hop stops. You could be a $50 gift card winner by visiting and commenting on each designer's post. See you tomorrow for day two. You won't want to miss the next two sets we will be sharing. And then on day three, we will be all about the newest StampTV Kit! I like the green background behind the Men of Faith card just makes the images pop. the card you created with the Mandala stamp set is just so creative! 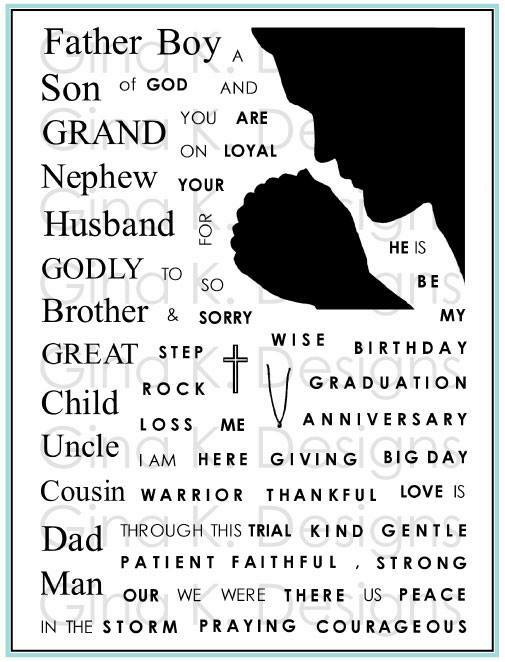 I love how you combined stamp sets for your inspiration for us. Oh so very awesome and creative Susie! That background with the black is sooo gorgeous on the Men Of Faith card and love how you used the coffee cups with the mandala! Great take on the Mandala Maker set! I never would have thought about putting them together like that! I love the Mandala Maker paired with the Perfect Blend. So many possibilities! Great cards! This release is fabulous but the mandala is pure genius! How cute is this card. Great idea!! Very nice cards! Neat coffee card. Gorgeous work and I really like the coffee one a whole lot. That is so cool! It's so nice to see a masculine set and oh, that mandela set! Thanks for showing some wonderful, creative cards using these wonderful stamp sets. WOW! Awesome. I couldn't figure out how you did the one with coffee. I thought I had missed an element in the set. Then it hit me - the square - duh! I love it and it's perfect with the coffee cups. Thanks for the inspiration. I'll be CASEing it. Omg I absolutely love how you’ve used the mandala maker!! So unique from every other card I’ve seen! What a versatile stamp set! 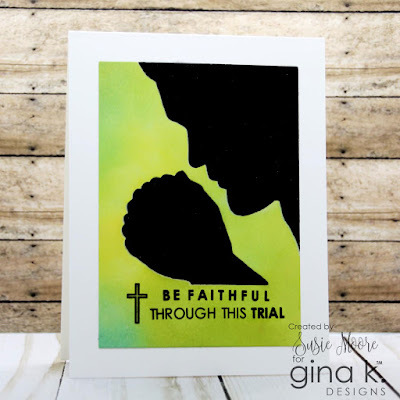 Your ink blending on the men of faith card is gorgeous as well! Great cards! I really enjoy looking at all the great ideas for cards. Both these cards are fabulous Susie! Wonderful cards. I really like the green background on your Faith card. Beautiful! I love how you incorporated the coffee set into the second card. I love the coffee card; how clever to use the set with the Mandala set. Thanks! 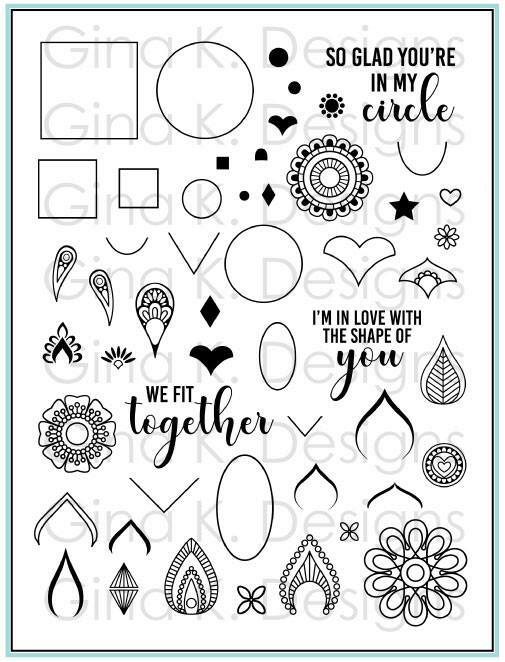 I love to see the mandala set being used with the shapes! Gives me more ideas! Wow...that card is awesome. I love that you combined the Mandala set and the Coffee set....so pretty. Thank you so much. Your background colors on the first card really makes the face pop out. The coffee set is very cute? Thanks for sharing such a unique twist on the Mandala Card Maker set. I thought it was ingenious the way you made the coffee stamp set your focal point and making the background square. I almost did not recognize it! Beautiful coloring. Amazing cards, love your use of colors. Thanks so much for sharing your talents. Beautiful cards. I especially like the green background color on the first card. Beautiful cards. The Men of Faith set is so inspiring. I love both your cards Susie! I wish you had included more of your Mandala cards, but I love the one you did show. Such a clever use of the mandala set. So totally different. Hope you have a video of this one. The coffee card is the best! I love both! Great job! Awesome cards, love the coffee mamdala maker card. Soo cute! That coffee card is wonderful! Creative, fun coffee cup card! The bright green on the first card rI ally makes the silhouette pop out. Very nice! I love your cards! 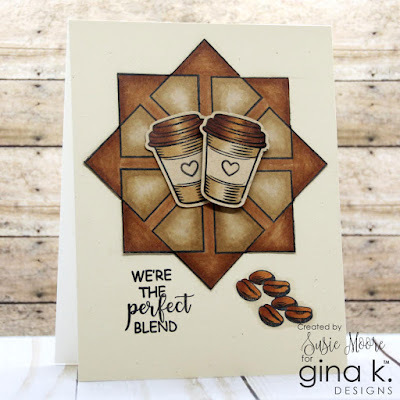 Your perfect blend card is great! You used the Mandala stamp set so differently than anyone else! How creative the mandala card is. I didn't recognize it as the mandala set until a few moments later. Great job. Really beautiful cards! Thanks for sharing! Enjoyed your cards! Thanks for sharing them with us. Love the green background. Gorgeous cards! Love your creativity! Your cards are super amazing! Fabulous cards! What a fun release! Beautiful cards! I love the design of your second card. Love the way the men of faith card just pops with the green background, and what you did with the mandala set is awesome. Thank you. Great cards! Thanks for sharing your talents with all of us! Wow the green really makes the card pop. beautiful cards thanks for sharing. Your use of the mandela naker was so unique. Bravo!!! Gorgeous cards. I really love the background in your first card. such creative use of the mandala stamps and love how the green just makes the silhouette pop on your first card! I love the incentive stamp card you made. Beautiful. Thank you for sharing. Love the things in the new release! Your cards are so pretty with them! Such striking and creative cards! Gorgeous! Fantastic use of the mandala maker. I know it's just the square stamped over and over, but the way you colored it and highlighted the overlaps turns it into something else entirely. And your ink blending on the top is marvelous. Thanks for sharing with us! Great cards. I really like the coffee themed one. Ok just when I thought the mandala maker couldn’t get any better…this card is so creative! Absolutely love what you did with the men of faith also!